Also says Magneride on the shock itself. Yeah its a 17, I will take pics if it ever quits raining here in KY. Anyone with a 17 have pics of their leaf springs? I just had mine replaced from the clunk noise and they definitely look different. Just wanted a photo to compare, I will post mine up later this evening. Definitely seems to have fixed the clunk and I think it may be riding smoother. Just had new leafs put in mine for the same issue and they look completely different. Would be curious to see pics of the old leafs to compare but they definitely have done something different. Well they try to lowball you first and charge some bs mileage charge which made it worse than trade in value. Then they told me full MSRP and sent me a check that was 10 grand short of that, guess they thought I would take money and run. I got the email where they stated full MSRP and told BBB I was going to get a lawyer, 3 days later they gave me MSRP. 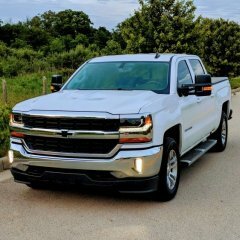 Dont think it would be loud enough, sounds like the steering column on the 2001 Silverado I had that had a recall but it only happens when the wheels are all nearly all the way turned going over uneven terrain. 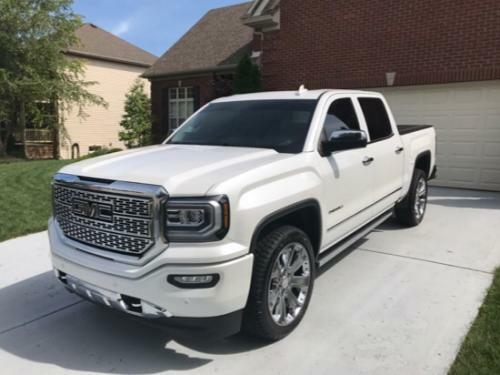 2017 Denali that clunks very lighty when the wheels are turned more than about half way. I tried the search but mine is a lil different because I can only hear it at low speeds? Took it to the dealer......shocker I know but they could not duplicate. Now Im on vacation and its driving me nuts. Like always guess I will just get advice on here and then tell them what to do...Thanks in advance guys. Yeah....try 3 months, they did eventually buy mine back though. Hahah man that is right on. All your missing is the tire shine on that Cub. 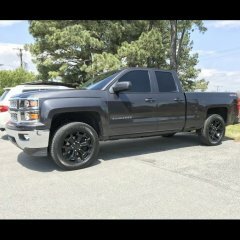 I priced them from GM and they cost more than the wheels. I wonder how long plasti dip would hold up? Maybe we should refrain from posting about where we should post. Turn on the hotspot on your phone, go to wifi in truck settings then connect to your hotspot. All data works like a champ, it will even let your truck run like a router with your phone being the modem. No flapper here no drone, I actually think its not as loud when cruizing but louder when its wide open.